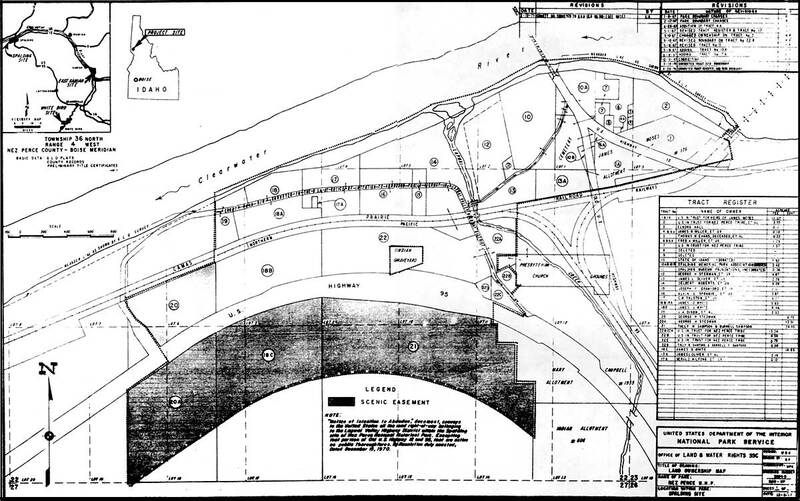 Most of the park's original land base (that is, excluding the park additions authorized in 1994) was acquired between 1966 and 1969 (Figure 2). This chapter first summarizes the land acquisition program for the Spalding, East Kamiah, and White Bird Battlefield units. It then considers land protection issues associated with the cooperative sites. Finally, it traces the park's involvement with two national historic trails. Discussion of the park additions after 1994 is reserved for Chapter 8.